Usually, diarrhea occurs on account of indigestion, food allergies, intestinal inflammation or some underlying disease the body is suffering from. Diarrhea is characterized by frequent passing of loose stools accompanied by stomach pain and/or vomiting. The body loses a lot of fluids. Follow these effective herbal remedies to stop a bout of diarrhea in its tracks. A tea made from fresh leaves of peppermint provides relief from diarrhea caused by indigestion. The two active compounds of peppermint, methyl salicyclate and menthol have anti-spasmodic properties. These soothe the entire digestive tract by reducing intestinal spasms. This in turn does away with stomach pain. You can also use enteric-coated capsules containing peppermint oil. These pass through the stomach without being digested and release their contents only after entering the intestine, providing relief from diarrhea. This is an effective herbal remedy for relieving indigestion, vomiting and loose stools associated with diarrhea. 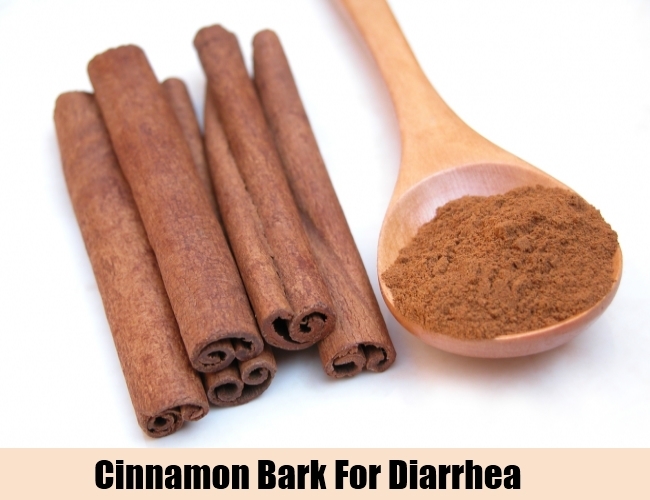 Cinnamon bark has anti-bacterial properties. It can get rid of any bacterial infection that may be responsible for diarrhea. Add 1 to 2 tsp. of the bark or 1/2 tsp. of bark powder to 1 cup of water and bring to a boil. Allow it to cool for a few minutes. Drink a cup of this warm tea to get immediate relief from diarrhea. This powder is derived from the dried pods of the carob tree. Tannins present in carob powder have a constricting effect on the mucous membrane of the intestinal tract, reducing the severity of diarrhea to a great extent. An ideal dose of carob powder is 15 gm, taken with applesauce. Carob powder works wonders for children as well as adults suffering from diarrhea. These are derived from the seeds of a plant called Plantago ovata. Psyllium is rich in soluble fiber. It soaks excess liquid present in the loose stools that accompany diarrhea. Consuming 10 gm – 20 gm of psyllium daily can bring down the intensity of diarrhea. This herbal remedy is ideal for treating diarrhea caused by bacterial infections or indigestion. Fennel has anti-bacterial and anti-spasmodic properties that ward off diarrhea and associated stomach problems effectively. This vinegar is an excellent, natural anti-septic that cleanses the intestines and the digestive tract. It contains pectin that adds bulk to the stools, stopping diarrhea . Pectin also works against certain bacteria that cause diarrhea. Take 1 tsp. of apple cider vinegar diluted in a glass of water, with each meal. This gives relief from diarrhea. This tea is a good herbal remedy for diarrhea. Tannins present in blackberry root have anti-inflammatory and astringent properties that constrict and tighten the mucous membrane of the intestinal tract. Boil blackberry root in water for half an hour before straining it. Cool this for some time. Consume a cup of warm blackberry root tea for getting relief from diarrhea. Do note that if diarrhea persists for more than a day or if it is accompanied by bloody stools and fever, you should immediately consult a doctor.